I am not a 'pursey' type. I own one purse at a time. There is no stash of great bag options stowed away in a corner of my closet. For me time is too precious to rotate purses in and out of use based on seasons, sizes, and occasions. As a result my bag gets dragged through all situations that a busy mom endures. 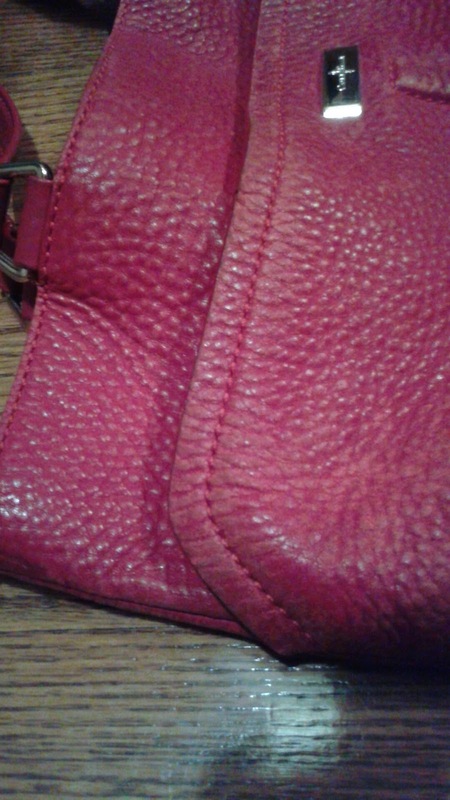 Before long my purse boasts a well-loved life evidenced with scratches, pen smudges, dried milk drips, and other undesirable stains. I don't remember how long my current purse fulfilled its role as my catch-all, but if I had to guess I'd say it was going on three or four years. 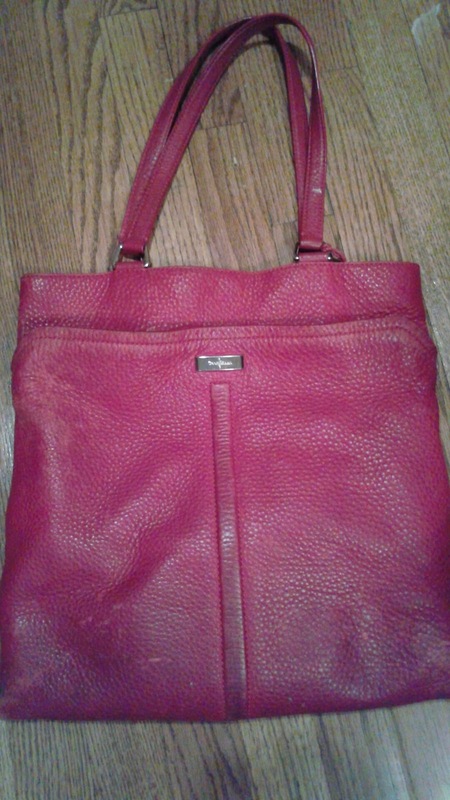 The purse was red. Red purses are not meant to transition through years of fads and phases. This handbag should've been put out to pasture long ago. I'm particular. I have specific requirements in a purse. There must be an outside pocket. Outside pockets are key to my mom survival. I like to toss stuff in their so that I don't have to dig through the entire purse to locate my must-haves. Size is huge - I mean size is important. I don't want an enormous purse and I can't fit what I need inside a tiny purse. 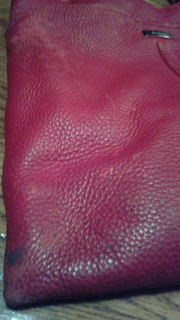 I prefer soft leather to stiff, stand-on-its-own leather. Well, there's another requirement . 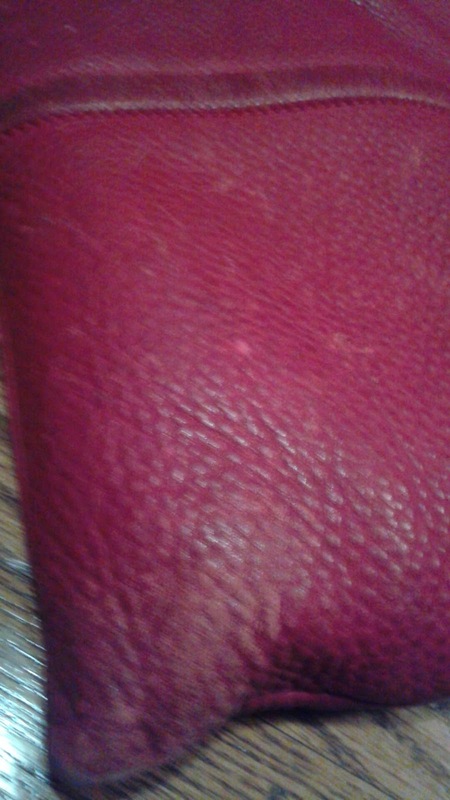 . . leather. No tassels or other fad-like embellishments. A light color can quickly become a canvas for all of the spills and stains I'd rather not showcase. Done with red. An awesome orange number proceeded the red one - until a pen exploded in it while on a whirlwind trip to Gettysburg with my Dad and ten kids. (I think we are all lucky that the pen is the only thing that exploded on that trip). Short straps that land my leather companion tucked just under my armpit work best for me. Big cumbersome buckles to open the purse slow me down too much. Avoid! Finally, I like a sturdy, name-brand bag (particularly if I need it to last for years), but I try to steer clear of the crazy pricey variety. I've been looking casually for a new purse for over a year. Since I'm not a purse fanatic, I can't say my search was constant and committed. I looked at the sale racks at my favorite department store from time to time. Too big, too pricey, too ugly. Knowing my red deal was growing into quite the embarrassing, eye-soar led me to concentrate a bit more lately on honing in on a purchase. One day a few weeks ago, I was at the mall with the squirrels I sit for. As I made my way back from the play area, which is the treat the kids are entitled to after I handle a few returns or quick browsing of the sale racks in my favorite department store, I steered the stroller towards the purse section. Theodore was busting at the seams to pee. Just before we tore off in the direction of the restrooms, I saw it. 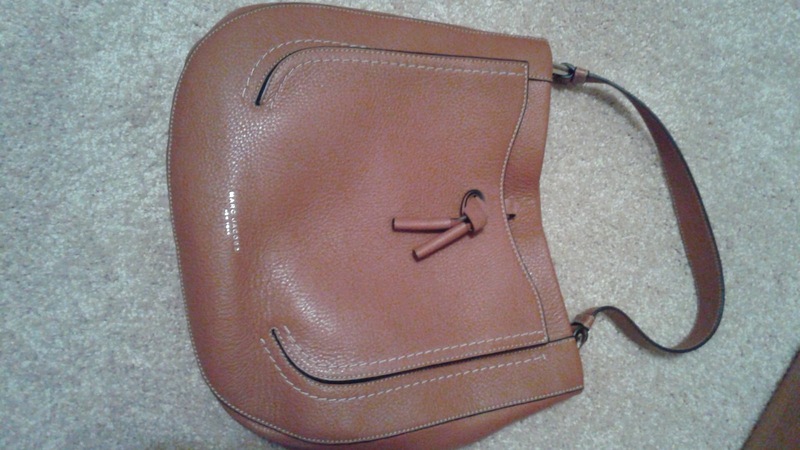 A beautiful brown Marc Jacobs bag. The price was reduced from $550 to a more palpable $137. Seriously! Oh, how I love an adrenaline rush from a great deal. Who would pay $550 for a purse? That's about as much as two weeks of groceries for our family of 8. I can't do it. Fortunately the saleslady wasn't busy. She noticed how busy I was. I tossed the bag on the counter as I barely slowed the stroller down. I called my name and number over my shoulder. 'Can you please hold this for me? I'll call when I got home and have a minute to give you my credit card info. This guy's about to wet his pants.' She chuckled and set the purse aside for me. Free shipping. Have I mentioned that I love this department store? It arrived a few days later. While I waited for it to be delivered, I hoped that I liked it as much as I recalled from my brief encounter with it. Was it too big? 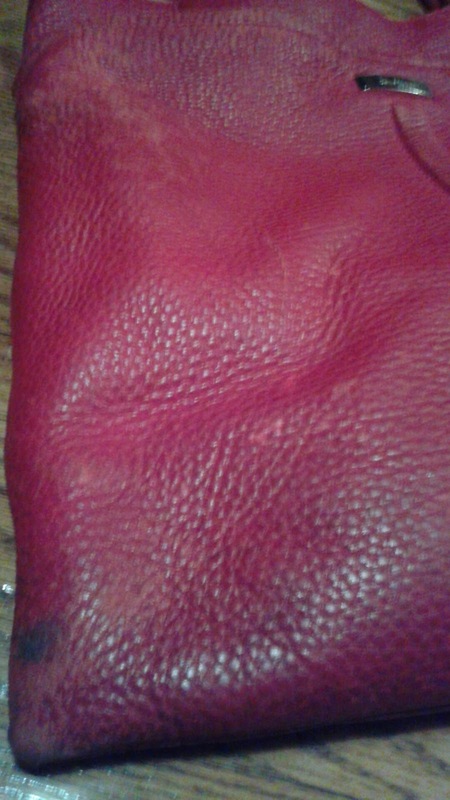 Was the leather soft enough? We were reunited a few days later. The Marc Jacobs is a bit bigger than I prefer, but close enough. I don't mind being able to stuff my iPad in it. The slightly firmer leather has already grown on me. I love it. My best friend, Fozzy, has instructed me to use the cheap le sac bag as a 'mom purse'. I picked up the black purse for less than $25 on clearance out of desperation just after Christmas. 'Beat up on that one, and save the nice purse for times when you are a grown up going out!' Foz ordered me. My trip to Arizona in early February was my first opportunity to be a grown up and utilize my new beautiful bag!